RQ-CNJ is a volunteer organization that was immediately formed after the earthquake by a nation-wide network of nature schools, civil organizations and individuals. 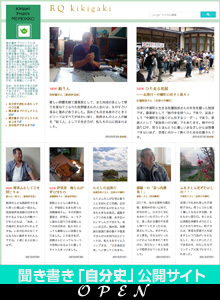 RQ Citizens Disaster Relief Network Japan (RQ-CNJ) is a volunteer organization of ordinary citizens. On March 11, 2011, the magnitude 9.0 earthquake occurred in northeastern region of the country and catastrophic tsunami inflicted immeasurable damage on the east cost of Japan which now called the Great East Japan Earthquake. It is the worst disaster on the recorded history of Japan, causing 16,019 people dead and 3,805 people missing ( as of Octorber 11 ) due to the quake and resultant tsunami, and about 20,000 people are still forced to live in evacuation shelters or temporary housings to this day. It might take 2 years to provide temporary housings to all evacuees; therefore, it is in urgent need of providing a long-term support to them. 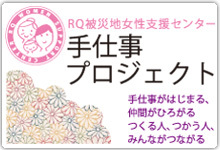 RQ-CNJ is a volunteer organization founded by the supporters of Eco-tourism Japan (EKOSEN) as the leading body. Its motto being “Let’s enjoy Eco-tour to re vitalize farming, fishing and mountain villages!”, EKOSEN maintains a network of highly-skilled practitioners and top researchers of Japanese eco-tourism. Many of the members of EKOSEN have their activity bases in remote villages of agriculture, forestry or fishery industries, and their activities are grounded in the philosophy “to learn from local knowledge in harmony with nature”. By conducting activities to welcome people in local communities as teachers an d experience agricultural work or to learn cultural traditions, it revitalizes both the local communities and urban cities. We have seen instances of their activities helping local communities through filling gaps public administrations cannot reach. On March 17, 2011, we started full-scale relief activities, which include the collection and provision of relief supplies, provision of temporary evacuation shelters, cleanup of the affected areas, and physical/emotional supports to the affected people. Many of our volunteers are providing relief in the disaster-stricken areas, and the members from nature schools are taking the lead, utilizing skills which earned through the outdoor education and nature recreation activities. Our relief focuses on small-scale shelters that house few evacuated families, and are difficult to receive a public aid. We also provide a long-term support for outside of the disaster-hit area through our nation-wide nature school network and in cooperation with public administrations, by offering temporary accommodations with psychological supports to people displaced by the disaster. 1. Practical skills earned through outdoor education and nature recreation activities that enable us to take immediate action in disaster stricken area. 2. Long term relationship with local community people. 3. Focus on supporting local area where public aid is difficult to acquire. 4. Focus on communications and understanding ‘What is in needs at this moment’. 5. Letting volunteers be responsible for planning and making an action on their own initiative. CEO of Nichinoken (a private preparatory school). Director of Ecotourism Japan. ‘‘I want children to grow up enjoying learning and thinking on their own. and Iwate-Miyagi Nairiku Earthquake (2008). In 1982, he founded the first nature school in Japan ‘Whole Earth Nature School’. or people who have to be displaced be attributable to the disaster. in cooperation with public administrations. Our main relief activity area covers 100km (62 miles) of the southern Sanriku coastal area, the Pacific Ocean side of Miyagi prefecture. In the initial stage of our disaster relief effort, we couldn’t have enough number of volunteers; the main railways running along the coast were heavily destroyed and reaching the area was very difficult until some alternative transportation systems started their service. We first set up our local headquarters at the former Masubuchi Elementary School in Towa-cho of Tome City in Miyagi Prefecture, which was followed by the satellite volunteer centers in the coastal areas of Karakuwa, Utatsu and Kahoku. Of the entire length of some 500km of Sanriku coast, the area north of Rikuzen-Takata City is also covered by some members of RQ-CNJ, providing relief there, while keeping in close contact with the team in the south. We are also providing temporary accommodations throughout Japan to people who have been displaced by the disaster, utilizing our nation-wide network. Many of the member nature schools of RQ-CNJ have their activity bases in remote villages of agriculture, forestry or fishery industries, and their activities are grounded in the philosophy “to learn from local knowledge in harmony with nature”. By conducting activities to welcome people in local communities as teachers and experience agricultural work or to learn cultural traditions, it revitalizes both the local communities and urban cities. We have seen instances of their activities helping local communities through filling gaps public administrations cannot reach. The initial phase of disaster relief requires people with strong survival skills. While supporting the people affected by the disaster, the volunteers must be highly self-reliant and capable of taking care of themselves in the environment of a disaster-hit area with no basic infrastructure. Those who are active in nature schools or the field of environmental education are likely to satisfy such requirements and thus are able to provide effective relief. As in some other countries, many nature schools in Japan are designated as local community centers in case of disaster, as their staff members are knowledgeable about the local natural environment and have strong survival skills. The reasons that we are planning to provide mid- to long-term support is because we recognize such functions by nature schools, and also because we want to restore and recover internationally acclaimed beautiful Japanese nature, culture, and natural surroundings, as well as the local people who live in harmony with the nature. Let’s bring smiles back to everybody’s faces now. And we hope that people from around the world will soon be able to come and enjoy our beautiful Japan again.